What are the best tires for Porsche vehicles? If you’d like more information about preparing your Porsche vehicle for the winter season, call 888.737.1724 and speak with a Porsche Certified Service Advisor. Our staff would love to provide you with information regarding this issue. You can also schedule and appointment in order to have your car serviced before the BIG snow falls upon our fair earth, dusting the ground with a cold white blanket of crystalline precipitation. 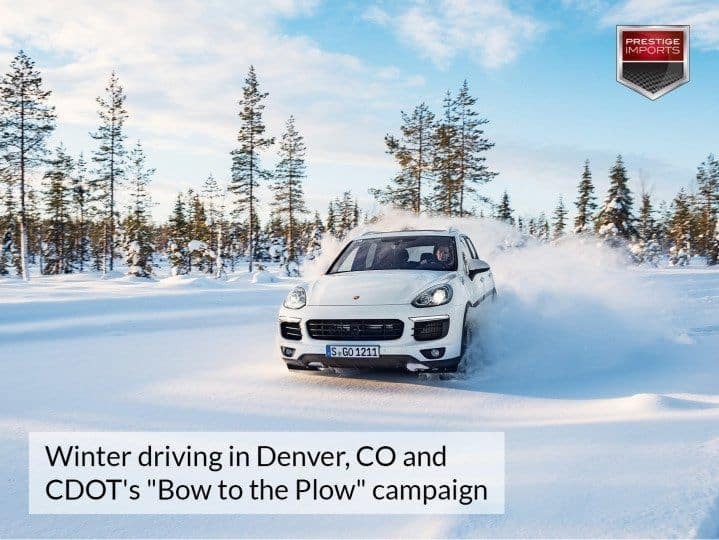 The article “Winter driving in Denver, CO and CDOT’s ‘Bow to the Plow’ campaign” originally appeared in the Prestige Imports Learning Center.